For when you don't want to give them chocolate. 1. A mermaid sequin heart pillow that changes colors as they pet it. It's a great tactile gift for any grabby hands. Get it from Amazon for $8.38 (available in eight colors). 2. A pair of Tsum Tsum figures of everyone's favorite power couple: Mickey and Minnie Mouse. Get them from Amazon for $7.51. 3. A set of Lego bricks you better bee-lieve is the perfect gift for your kiddo. 4. Be My Valentine, Charlie Brown — a cute little book that can fit right in your new reader's hands. Get it from Amazon for $4.95, Urban Outfitters for $5.95, or from a local bookseller through Indiebound. 5. And some Snoopy and Woodstock pajamas to wear while enjoying that lil' book. Get them from the Gap for $29.95 (available in sizes 6M–5YRS). 6. A wind-up emoji toy that poops out candy, for the pint-sized comedy connoisseur in your life. Get it from Papersource for $6.95 or a set of two from Amazon for $13.70. 7. A heart-shaped box filled with a variety of little rings they can share with all their friends. Get a set of 36 rings from Amazon for $13.98. 8. A sheet of temporary tattoos to make a lasting impression. It comes with eight tattoos and a sponge for application. The tats will last two to four days. 9. In My Heart — a fun and colorful book that will teach toddlers how to navigate and describe their own emotions. 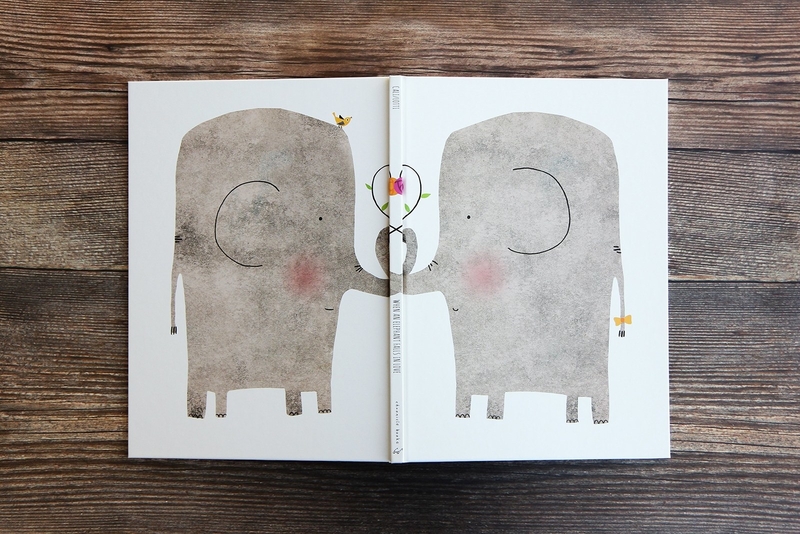 The book has a heart-shaped cut out that gets smaller with each page. Get it from Amazon for $13.59, Anthropologie for $16.95, Barnes & Noble for $14.27, or from a local bookseller through Indiebound. 10. A container of clear slime dotted with colorful heart confetti for a party in their hands. Get it from EmeraldCitySlimes on Etsy for $2.50+ (available in three sizes). 11. A Star Wars activity book you won't have to ~force~ them to use. It comes with activities, comics, and 36 removable valentines to hand out to classmates. Get it from Amazon for $5.39. 12. A pack of love-themed emoji stickers so they can send you some hearts, even without a smart phone. Get 288 stickers from Amazon for $4.85. 13. 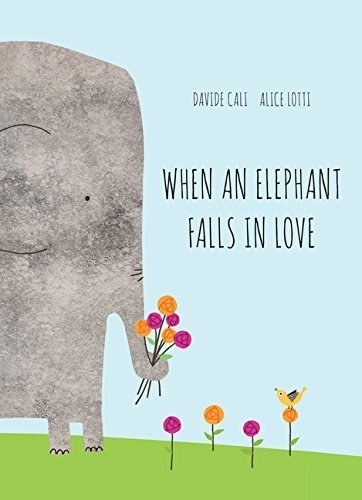 A relatable tale about the intricacies of elephant courtship that your kid will never forget. Get it from Amazon for $11.86, Barnes & Noble for $13.49, or from a local bookseller through Indiebound. 14. A plush anatomical heart for brainy kids who are basically mini scientists. Get it from Amazon for $21.99. Get the erasers here. 15. 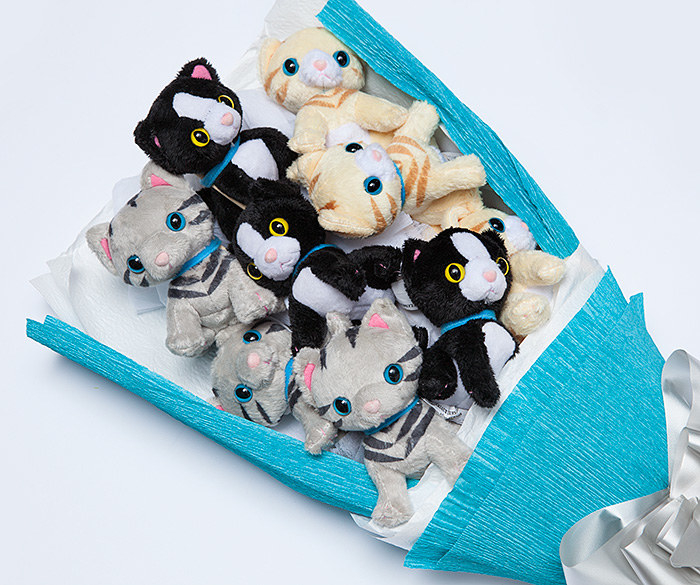 A bouquet of plush toys, because kids have no need for flowers. 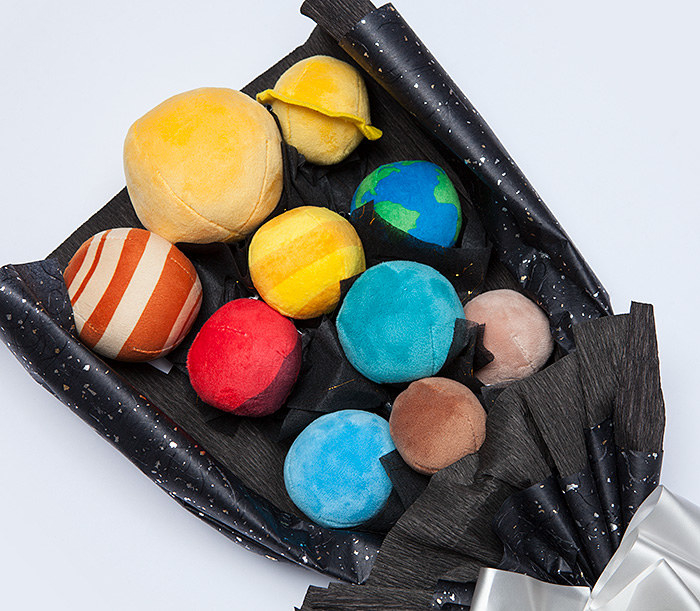 Get the planets for $14.99 or the cats for $39.99, both from ThinkGeek. 16. A kid-sized crossbody purse that will give them heart-eyes. 17. A charming picture book about a peculiar day when it rained hearts, from the illustrator of If You Gave a Mouse a Cookie. If the plot of this book sounds familiar, you might remember it by its original title, Four Valentines in a Rainstorm. 18. A heart-shaped fidget spinner for relieving some of that pre-Valentine's Day stress. Get it from Amazon for $5.36. 19. A one-pound bag of heart lollipops with enough sweets for the whole class — and maybe even one for you. Get a pack of 27 from Amazon for $11.90. 20. A romantic spin on a children's classic called Love from The Very Hungry Caterpillar. Get it from Amazon or Barnes & Noble for $8.99, or from a local bookseller through Indiebound. 21. A pint-sized apron so your little sous chef will have protection from flour while you're making V-day cookies. You can pick a name and design to get printed on the apron in vinyl. Get it from SJACreativeDesigns on Etsy for $16.99 (available in six colors). 22. Heart-shaped sunglasses because your love for them is blinding. Get a pack of six from Amazon for $12.99 (available in six colors). 23. A jar of sweetheart soaps so they can wash all the chocolate off their hands after raiding their other Valentine's Day gifts. Get a jar of 15 from SunbasilgardenSoap on Etsy for $12.50. 24. A pair of metal pan molds to ensure your pancake hearts can be perfect for them every time. Heart-shaped breakfast food sounds like an egg-cellent idea! Get them from Amazon for $5.99. 25. A pack of heart-topped bubble wands, for a *pop* of color in their V-day baskets. Get a set of eight from Paper Source for $9.95 or 40 white bottles from Amazon for $12.99. 26. And a set of scratch-off Valentine's Day cards so they can give their classmates a cool surprise. Get a pack of 24 from Amazon for $7.99.